Each patient is offered a thorough examination and a personalized treatment plan, including home exercises, postural guidance and general health advice. Treatment in the session includes a range of techniques for example soft tissue massage, stretching of muscles and mobilising of joints sometimes with manipulations, traction or using muscle energy techniques. Often the release of the body is very gentle and subtle to create a relaxation response. We also offer Kinesiotaping and Medical Acupuncture where it might be appropriate. Our Osteopaths are experienced in treating patients of all ages (including expecting mothers and newborns). 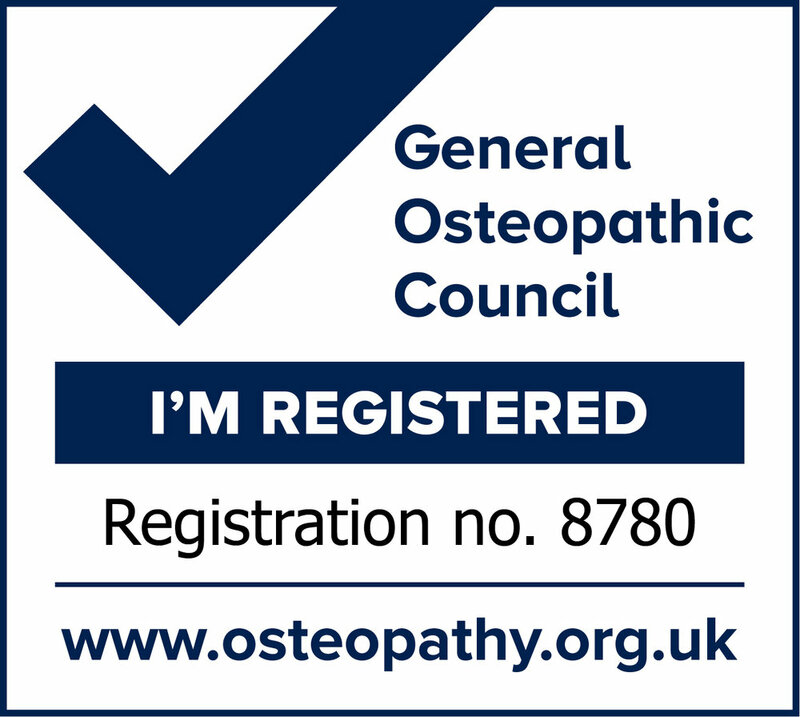 For the full range of Conditions Osteopathy can help with, click here. Catrin opened the Osteopathy Clinic at Elizabeth House Medical Practice in 2008 and has enjoyed providing Osteopathy to the people of Warlingham and surrounding communities ever since. She is passionate about the benefits of Osteopathy as a natural form of treatment and liaises with GPs and consultants where necessary to ensure her patients get the best care. Catrin uses a range of osteopathy treatment types and also medical acupuncture. In particular she specialises in a gentle form of osteopathy referred to as cranial osteopathy but used on all parts of the body. She is an international lecturer in cranial osteopathy on behalf of the European School of Osteopathy in Maidstone, travelling to Russia and Europe several times a year to give seminars. Catrin’s ethos is to help patients heal themselves and one of her principles involves getting to the bottom of the initial “Cause” of the pain or discomfort and why it may not be healing. She has a strong interest in postural awareness in daily life and rehabilitative exercises as a therapeutic solution that patients can undertake at home. In addition Catrin has specialist training in a CBT programme for patients suffering from chronic pain which combines Osteopathy with Mindfulness and Acceptance. David qualified as an Osteopath from Surrey Institute of Osteopathic Medicine in 2009 and has been gaining valuable experience since, working in clinics in Horsham, Camberley and Redhill as well as at Elizabeth House. During this time he has successfully treated patients with many different injuries and complaints. It was his own sporting background which first attracted him to Osteopathy, having received treatment from Osteopaths for his own injuries. The concept of treating the cause of an injury rather than only symptoms was something that gave him the impetus to train as an Osteopath. He wanted to understand how the body works and what can lead to these injuries occurring. He believes the key to this is achieved by using a mechanical and logical way of thinking, as well as through clinical examination and ultimately creates good outcomes for his patients' recovery. David is a keen traveller, having recently fulfilled an ambition to take a sabbatical and visit various countries around the world whilst also learning different skills which compliment his Osteopathy practice. David is also a runner in his spare time and a music enthusiast having previously played in bands, he enjoys watching live music whenever he can.